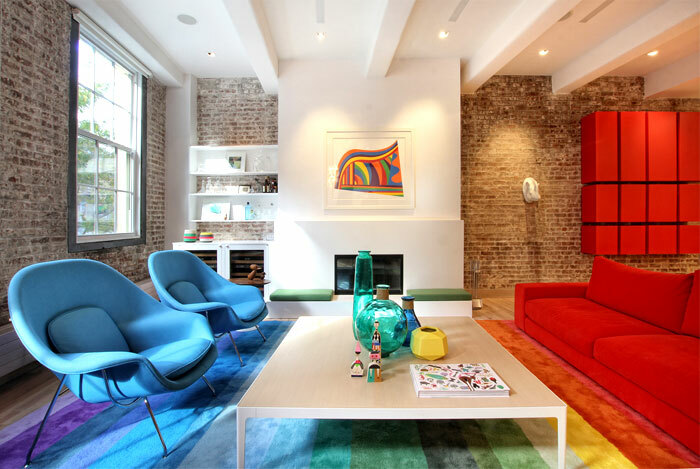 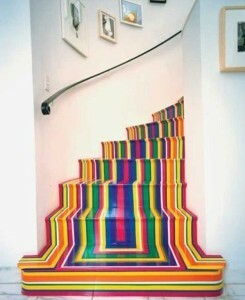 The rainbow effect in home decor is a bold move, and also a happy one. 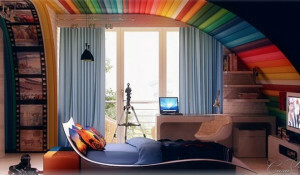 Nothing sends a more cheery vibe than a rainbow array of colors to come home to everyday. 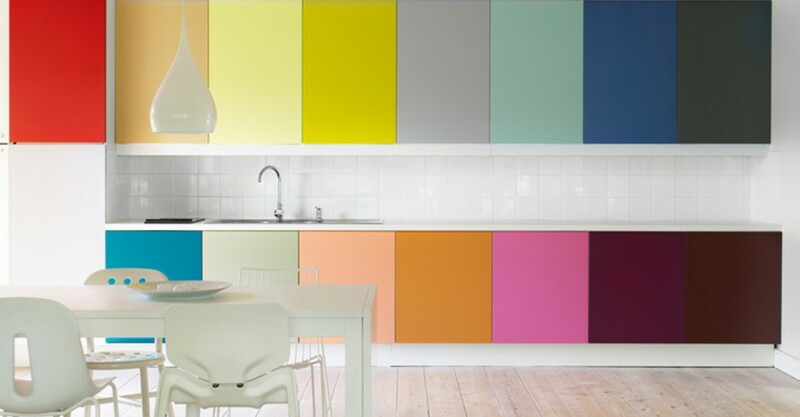 The rainbow’s past reputation may have leaned towards more of a juvenile color scheme fit for a baby nursery, but in this post, we’ll prove your preconceived notions wrong. To achieve this look one needs to start with high quality furnishings and craftsmanship to not come off looking cheap. 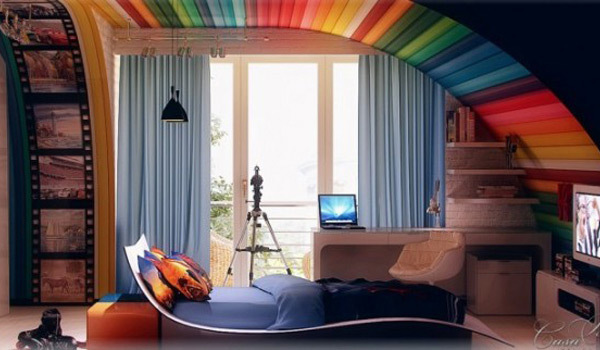 Secondly, mixing textures and layering colors create a cozy environment like in the above image. 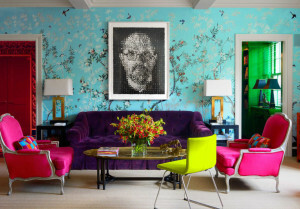 The rich velvety sofa and sateen fuchsia chairs are dramatic yet very inviting. 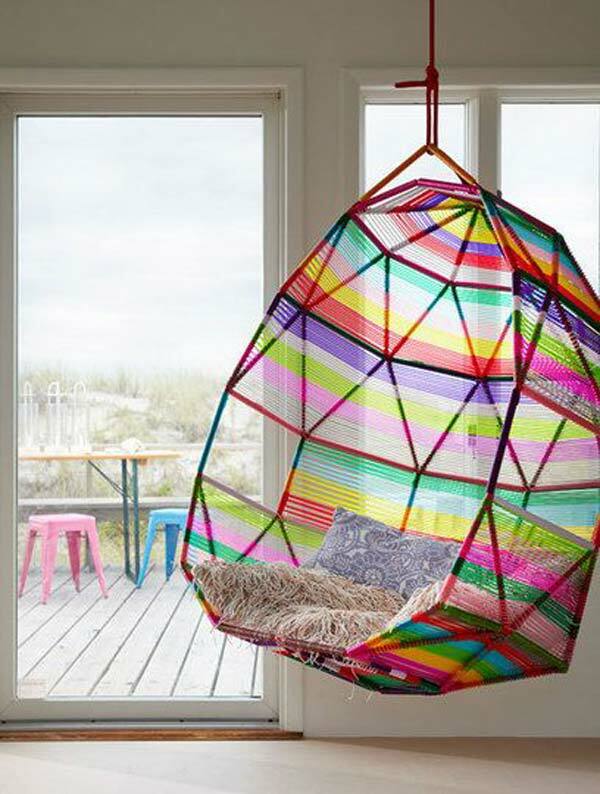 The Jigsaw Designers love adding a bit of whimsy to a space like the indoor swing above; it relaxing and inspiring at the same time. 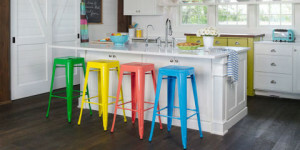 Ditch the chrome stools for a striking set in your favorite rainbow brights this spring to liven up the kitchen or breakfast bar. 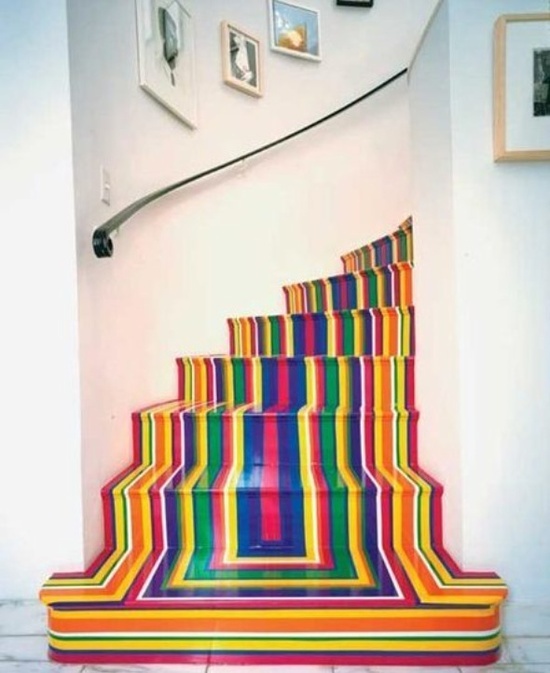 If you’re inner ‘Dorthy’ is ready to commit to the cheery somewhere-over-the-rainbow vibe, add something a bit more permanent like painting the stairs or implementing your favorite hues to your kitchen reno like the harmonious colors above. What an inspiring way to start the day in a lively kitchen like this? 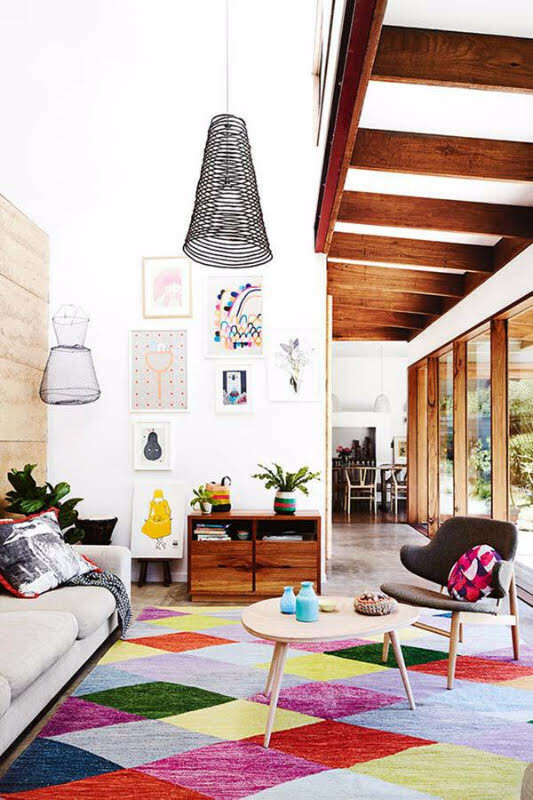 The quick fix: pillows, rugs, or art paired with nick-nacks will always be a fun refresher when layering onto a neutral palette. 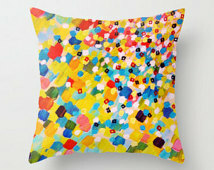 Resources like DWR, Etsy, Jonathan Adler and Art.com are few places to find life filled bright ideas . Ultimately, as the trends change, these are easy pieces to update without the need to renovate. 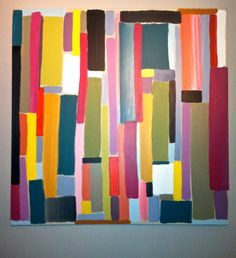 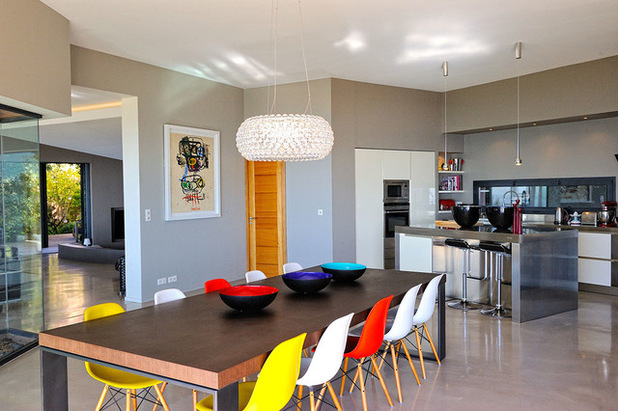 For more information about color trends please send us your questions for comments below. 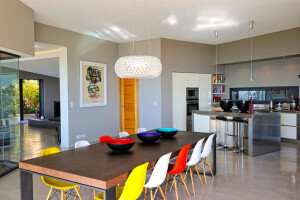 Be sure to check us out on Facebook and Google+…and don’t forget to subscribe.